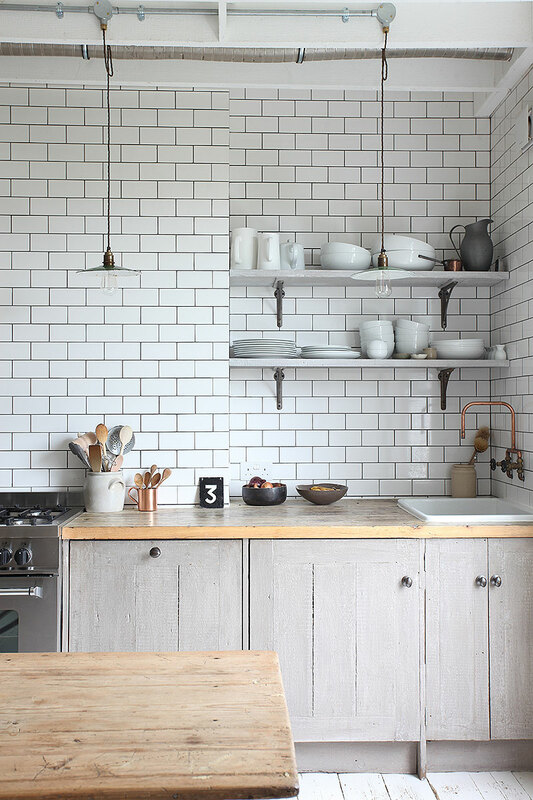 There's so much to love: the tiles, the rustic yet simple cupboards, the beams and I love the copper tap, although I'm not sure how i feel about the sideways sink - it looks nice, but think I'd find it annoying in a practical sense don't you?! 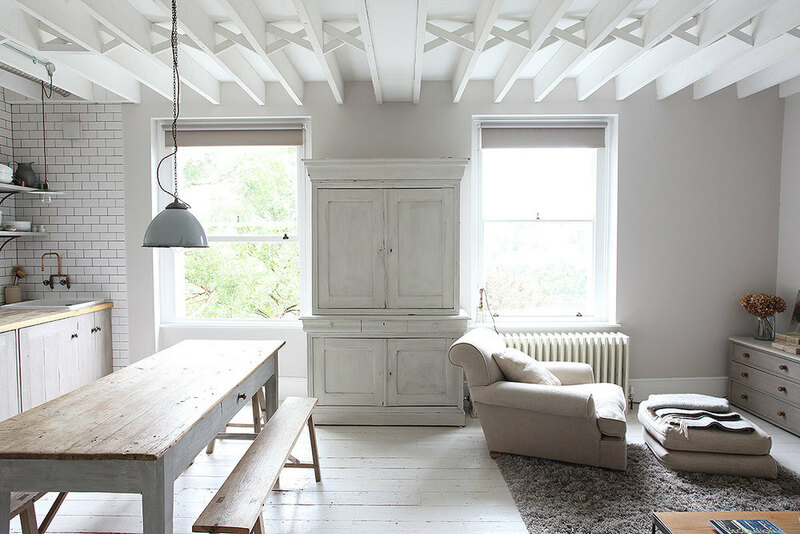 It's obviously quite a compact flat as the kitchen and living area are open plan, but the light, airy aesthetic makes it feel spacious and super calming. 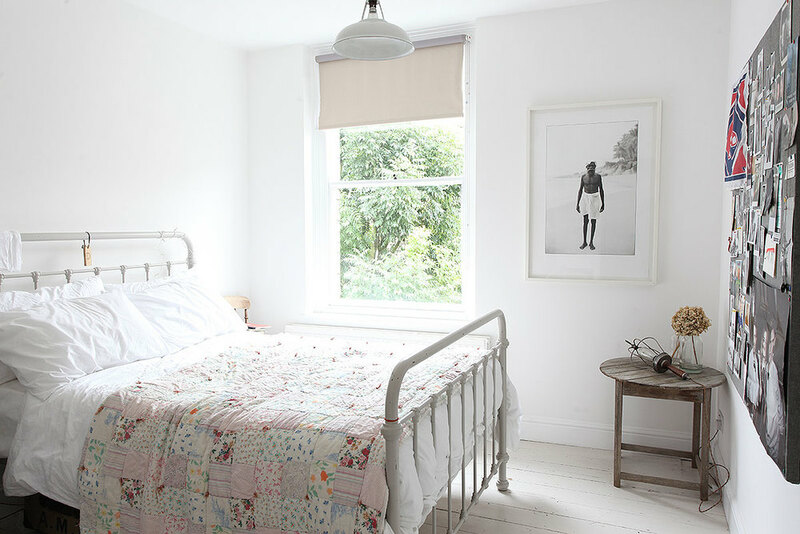 the bedrooms are also fresh and inviting, and how great are the shutter doors on the cupboards?! lovely idea. I love the simplicity but that there are also lots of interesting features in there too. What do you think? Check out more homes to pore over on Light Locations.